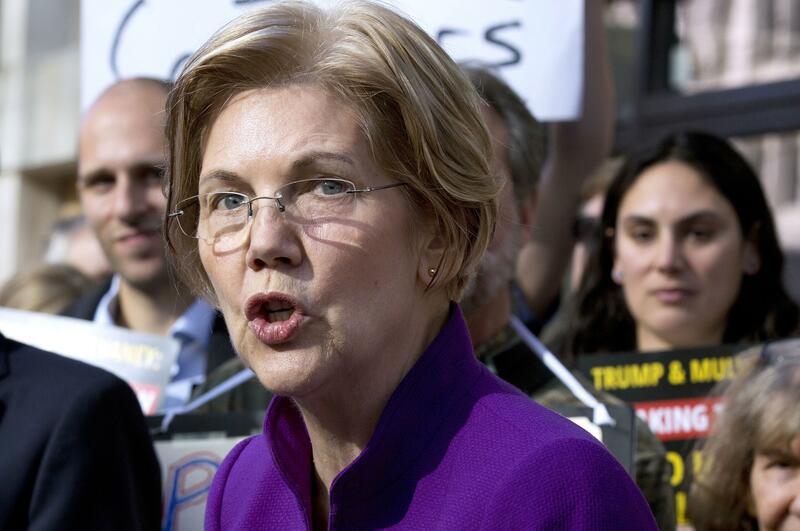 BOSTON – U.S. Sen. Elizabeth Warren is calling for the federal government to confront the opioid addiction crisis like it ultimately attacked the AIDS epidemic in the 1980s. The Massachusetts Democrat said Friday that she will be unveiling legislation next week with Democratic U.S. Rep. Elijah Cummings, of Maryland, that would pump $100 billion in federal funding over the next 10 years to help communities battle the crisis that claims tens of thousands of lives each year. Warren said the goal is to make sure funding goes directly to the hardest-hit counties where the most people are dying from drug overdoses. The bill also would ensure a portion of the money goes directly from the federal government to clinics and nonprofits pioneering new models of treatment. A spending plan signed by President Donald Trump last month commits the federal government to spend a record $4.6 billion this year to fight the crisis, which killed 42,000 Americans in 2016. Some advocates said the funding isn’t enough to create the kind of treatment system needed to reverse the crisis. A White House report last fall said the overdose epidemic costs the country more than $500 billion a year. Warren said her bill is modeled after the Ryan White CARE Act, which targeted federal funds to areas of the country most impacted by the HIV virus. White, an Indiana teenager, became a global advocate for AIDS patients after he contracted the disease through a blood transfusion. He died in 1990. There are parallels between the early years of the AIDS epidemic and the opioid crisis, Warren said. In both instances, people were stigmatized and blamed for their disease, the federal government under-invested in basic science and lawmakers initially lacked the courage to confront the crisis, she said. The Kaiser Family Foundation has found the U.S. is spending more than $7 billion annually on discretionary domestic funding on AIDS, an epidemic with a death toll that peaked in 1995 at 43,000. In Massachusetts, estimates of opioid-related overdose deaths declined by more than 8 percent during 2017 after rising steadily for several years. The decline came as the state enacted new laws to combat the crisis. Still, the number of deaths is sobering. The Massachusetts Department of Public Health earlier this year estimated there were 1,977 opioid-related overdose deaths in the state last year, down 8.3 percent from the 2,155 deaths in 2016. Published: April 6, 2018, 3:29 p.m.